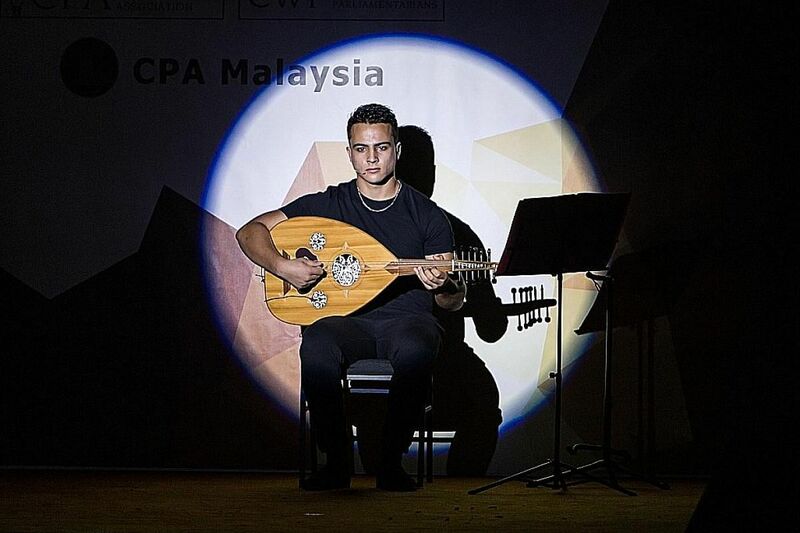 KUALA LUMPUR • Mr Omar Alkha- mmash beamed as he listed the many shows in which he has performed with his oud, a traditional Syrian lute, to appreciative audiences in Malaysia. "Of course, I'm a musician," the 19-year-old Syrian said when asked if he enjoyed performing. He enthusiastically recounted how he and a few friends had formed a band that played contemporary music using traditional Syrian instruments in Damascus where he lived until the country's ongoing civil war destroyed his life there. He left for Beirut, and then came to Kuala Lumpur two years ago. His precious oud came with him. It has brought him joy in hard times, helped him connect with people in his adopted home and gained him new opportunities. Mr Omar is among some 150,600 refugees registered with the United Nations High Commissioner for Refugees (UNHCR) in Malaysia. These refugees hold a UNHCR card which recognises their status as asylum seekers but does not allow them to work, drive, open bank accounts or go to school. In short, they are unable to lead normal lives, so it is very difficult for them, said Mr Omar. Thanks to his skill with the oud, he has been invited to perform in several shows and this eventually led to him managing Theatrefugee, a new group which aims to create quality theatre shows by refugees. 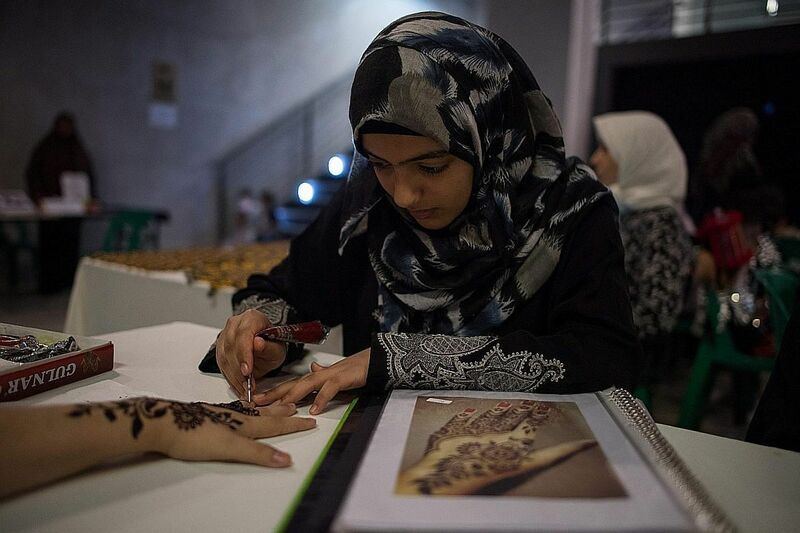 Set up with seed funding from the UNHCR and with the expertise of Malaysian producer Razif Hashim, Theatrefugee is one of several initiatives which aim to help refugees earn an income through their skills and by showcasing their culture. These initiatives also seek to encourage Malaysians to see refugees as people who are no different from them. Besides Theatrefugee, there is also the year-old Picha Project which helps refugees make a living by providing catering services. Then, there are smaller ad-hoc initiatives, such as refugee cooking classes organised by different groups, and festivals that showcase refugees' food, arts and crafts. The response from Malaysians has been overwhelming, which is surprising, given that as with many places in the world, refugees are perceived to be a drain on public funds and a danger to society. In fact, it was the hostility experienced by some refugees that inspired the staging of a refugee theatre show produced by Mr Razif. It won acclaim, eventually leading to the setting up of Theatrefugee. Mr Razif, 34, was commissioned to stage a play comprising refugees for the Fame Festival for Refugees in March. "It was so difficult at first because they are not actors. So we did a few workshops," he said. In one workshop, the refugees acted out their experiences about being verbally abused and being called terrorists, animals and scroungers. As they re-enacted these scenes, one of the female participants yelled uncontrollably, "We are human! ", and broke down in tears. Mr Razif titled his play We Are Human and it told the stories of the refugees' flight from war to their current situation in limbo as they await resettlement. Mr Omar played the music. The play's two shows were sold out and so well-received that the team was invited to perform at the UNHCR office in Kuala Lumpur and again at the Malaysian Parliament for the Commonwealth Women Parliamentarians meeting in April. The team also performed for 1,500 students at Mara Technology University in Selangor in May. The performers received an income from each show. But beyond that, Mr Razif hopes the plays have helped people understand refugees better, and will also create some sense of camaraderie between them and Malaysians. Buoyed by the tremendous response, UNHCR provided seed funding to set up Theatrefugee, a more permanent set-up to work with refugees from all cultures to create theatre and other productions for various events, such as corporate functions. Theatrefugee, which is at the audition phase, expects to stage its first show by the end of this year. While theatre can be food for the soul, food for the stomach can be just as powerful in reaching out to people's hearts. 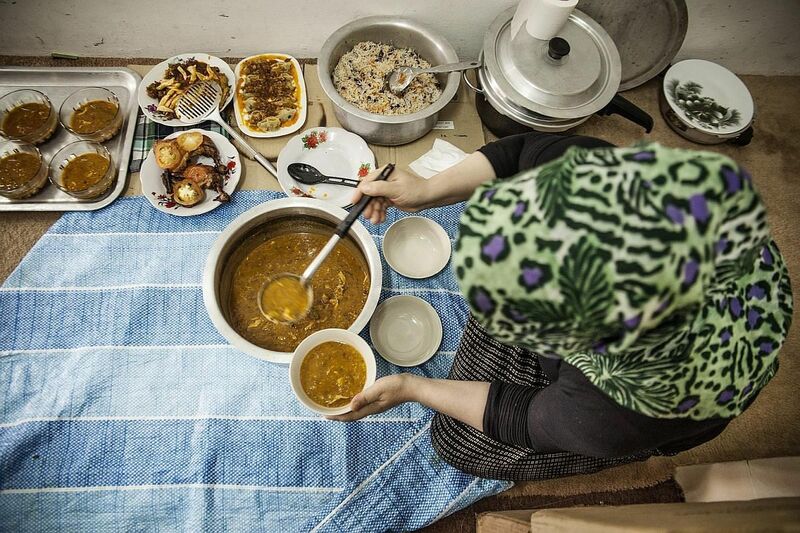 Picha Project was set up last year as a small enterprise to sell food made by refugees. It began with a dish of rice with chicken and corn salad cooked by a Myanmar refugee and sold by Malaysian volunteers to their friends. But within months, the three founders - Ms Lim Yuet Kim, 27, Ms Suzanne Ling, 24, and Ms Lee Swee Lin, 24 - found themselves getting requests to cater for events of up to 500 people and to supply meal boxes. In the past 12 months, they have sold 30,000 meals and earned RM500,000 (S$160,000), which is split 50-50 with the refugee chefs who earn RM3,000 to RM4,000 each a month. They now work with nine families from Myanmar, Palestine, Syria, Iraq and Afghanistan. Picha Project's "open house" events have also been well-received by Malaysian and foreign guests interested in dining with the refugee host families in their homes. The response has been so good that it has now become a weekly event. "The challenge is really not in getting the sales but in working with different families. We have strict rules about hygiene, presentation and packaging, and it takes three to four months to develop a good relationship," Ms Lim said. From the start, she said, her team has found that Malaysians are very supportive of initiatives that work towards helping refugees in a way that allows them to support themselves and not be a drain on public coffers. They were willing to try unfamiliar foods and were quick to forgive shortcomings. "Picha wants to help the refugees in a sustainable way and we find Malaysians to be very open to such solutions. If there's a platform such as this one, they will support it," she said. Picha Project's success got the notice of the government which recently invited the group to a round-table session to contribute ideas for nation building. The outfit is now looking into similar funding solutions in other areas such as education. It has hired two teachers to revamp the curriculum and provide systematic teaching for a refugee school in Kuala Lumpur. The school will be funded by revenue raised from running holiday leadership courses for Malaysian students, with refugee children facilitating some of the workshops. While the response has been tremendous, such initiatives directly benefit only a fraction of refugees. The vast majority still struggle with day-to-day living, live with much uncertainty over their future and face a lot of hostility. Yet, their proponents hope that these small initiatives can have a wider impact. Mr Razif of Theatrefugee said the new theatre club aims to produce high-quality productions that focus not just on refugee stories but "a shared humanity". "It's not about the kesian (pity in Malay) factor. We want to build amazing shows with their talent," he said. "The important thing is that they run it themselves, and it becomes sustainable." 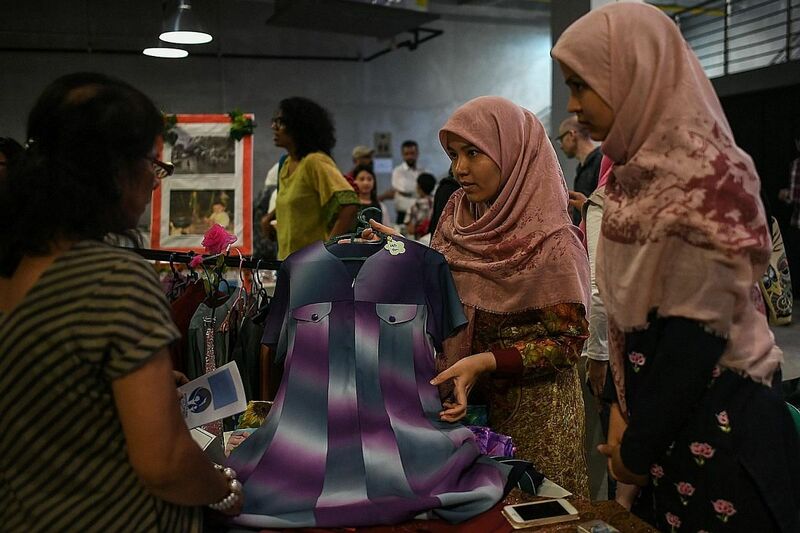 Any sense of inclusiveness fostered by such projects would help people such as Ms Rasha Altali, 30, who has been a refugee since she left Iraq for Syria more than a decade ago, before moving to Kuala Lumpur in 2012. Having been an outsider for so long, she said, it was painful to be an outsider in Malaysia yet again. Her children, who attend a refugee school, often ask her why they are called refugees. "We are made to feel different, and not considered part of the community," she added. Her participation in Mr Razif's We Are Human production helped her a lot, she said, because it not only rekindled her love for acting but also gave her a chance to meet Malaysians who are interested in the refugees' stories. Malaysian architect Yeoh Ee-Leng, who attended a Valentine's Day event by Picha Project that was catered by refugee families, found it an eye-opening experience to spend time with the refugee chefs who had prepared her dinner. Although Ms Yeoh has read widely on refugee issues, she said it was enlightening to meet refugees who were not very different from her and to hear their stories. "Like us, they also had a normal middle-class family life in their own countries before war destroyed their lives," she said. But she also said it may be difficult for such initiatives to reach a wider group because those who attend are people who are already interested in refugee issues or are willing to learn. Mr Razif hopes that these people, despite their modest numbers, may help change things. "Theatre is small and it's hard to reach a lot of people. But once you see it, it will travel with you forever," he said.